After hearing so much about cannabis and the health benefits it offers, I started my study on the web to see what the plant is and how does it improve health. The two terms that I came across frequently were Cannabis Sativa and Cannabis Indica. Even at different dispensaries or online shops, the strains are sativa or indica types. So what is this differentiation? If you have also read a lot about CBD, cannabis, marijuana, and hemp; you must have also faced the same confusion as I did. Is Cannabis Sativa and Cannabis Indica different? If yes, then what was the effect of each? Which one is more suitable for me? All these questions forced me to learn more. 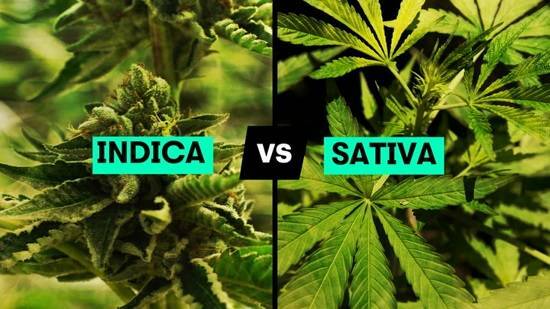 Here’s a comprehensive introduction of the plant and its types for you to understand the difference between sativa and indica. You will find several research studies and papers on the web to understand cannabis. Cannabis is a plant that can grow widely. It was a medicinal component in the middle ages. People in Europe used it for toothache relief and even at the time of childbirth. However, as more research surfaced, the cannabis plant became famous for its beneficial effects. You may find a lot of lab tests and user reviews to satiate your inquisitiveness. The cannabis plant has various types and is found all over the world. The words marijuana, hemp, cannabis and CBD are interchangeably used, but actually, the plant’s name is cannabis and hemp is a type of the cannabis sativa plant. The CBD or cannabinoids are the chemical substance found in hemp and are the main constituent that provides the numerous benefits that users sought. The research on cannabis plant genetics shows that cannabis sativa is a type of plant that people associated with medicinal effects. This plant is used in different remedy preparations and has an energizing and refreshing impact. Carl Linnaeus coined the term sativa for the species of the plant found in Europe and western Eurasia region. The people of this region cultivated sativa type for its fiber and seeds. Hemp is a part of the cannabis sativa, which refers to the non-intoxicating varieties. Hemp contains the magical CBD, which holds the key to several health profits. The cannabis sativa plant is tall with thin leaves of light color. It can reach the height of up to 18 feet, which is rare in herbs. The sativa plant takes longer to grow than other varieties of the cannabis species. The warm weather of South East Asia, Central America, and Mexico are more suitable for the sativa plant, but it is still found in other areas as well. This type of herb has a fruity aroma. Cannabis sativa is a flowering herb that was more common in South East Asia but now due to a global increase in demand it is cultivated everywhere. It can grow in warm, humid, rainy weather. Therefore, you can find it all over the world! It is incredible how this plant evolved in Asia and then spread to the whole world. Cannabis sativa has an energizing and refreshing effect. Usually, this cannabis type is the choice for people who wish to work more efficiently and maximize their output. Sativa does not cause the high that most people believe a part of cannabis consumption. The sativa plant is used in medicines due to its numerous benefits. The CBD in the hemp plant contains various properties that have a positive impact on the health of the consumer. The CBD is known to impact epilepsy, diabetes, depression, pain, inflammation and many more disorders. The cannabis sativa’s energetic and invigorating effect makes it a good option to include in all drugs that focus on maximizing human abilities. A sativa-enriched tea will make you feel better, and once your mind is at ease, you will be able to work faster and more actively. This property is why a sativa pain relief drug will help you get rid of pain without making you sleepy or lazy. Cannabis sativa is commonly used for recreational use as well. What is recreational use? It means the consumption of the herbal supplement to feel better and enjoy the benefits of the herb to uplift the mood. Even if the user does not have any medical concern that needs to be addressed, using hemp plant strains can be exhilarating and satisfying. This kind of usage is recreational, and the therapeutic effect of CBD makes it a good usage for people all over the world. The efficiency and strength of a cannabis sativa supplement depend on the cannabinoid (CBD) and THC content. THC is tetrahydrocannabinol, which is the main cause of intoxicating or high feeling in the users. The cannabis sativa is used more for pharmaceutical purposes and is also a very stimulating supplement due to the higher CBD content and lower THC content. After a study on cannabis-based drugs, Dr. Russo, a researcher answered common questions for the National Institute of health. He claimed that THC is the psychoactive component and if found in high doses, can have a sedative effect. THC is a psychoactive agent and favorable for people who have to deal with severe pain and disorders for which they require a calming drug. The euphoric impact of CBD is used for many medicinal and recreational uses when users require a particular rush of energy. Similarly, THC-high supplements are used when an individual needs rest, better sleep and relaxation. The cannabis sativa species is sufficient in CBD content than THC content. Terpenes are the aromatic compounds found in organisms. The cannabis flavor and aroma is due to the terpene content in each type of the plant. The cannabis sativa plant is known for its pungent smell and aroma ranging from fruity to oily, diesel-like smell. The terpene content of the plant determines the aroma and impact on the user. One of the terpenes found in the cannabis plant is the Myrcene. It has a substantial effect on insomnia, anxiety, and stress. Myrcene is the terpene that is less in sativa plant but is found abundantly in the indica species. Lab tests show that if the volume of this terpene is less than 0.5%, the strain is sativa. The indica strains have myrcene content of greater than 0.5%. Other prominent terpenes that give sativa its distinct fruity smell and an energizing effect are limonene, humulene, and linalool. Limonene improves mood and uplifts. Humulene has a spicy and earthy flavor and can wake up the senses in a positive way. Linalool is anti-anxiety and can invigorate the senses. The different strains found in CBD dispensaries and online shops are named after their prominent properties. These strains are prevalent due to the specific effects that users prefer. Some familiar names of sativa strains are Island Sweet Skunk and Sour Joker. Apart from these, you can find Lemon Haze, Durban Poison, Sour Diesel and many more. The second type of cannabis is indica. Jean Baptiste Lamarck gave it the name since he found this species in India. The people of India grew it for the hashish, fiber, and seeds. This type of cannabis is the psychoactive agent that can help users deal with pain, anxiety and every disorder that requires sedation or ‘cool’ effect. Cannabis indica was first found in India and Afghanistan, but it can grow in temperate regions anywhere in the world. The modern cultivators of cannabis are growing the various species of the plant to cater to the wide variety of users who need different kinds of benefits from this natural supplement. Some people want to remain active and work more, and some require a peaceful mind and calm nerves. For all such consumers, the sativa and indica plant are grown all over the world! The indica species have stout, broad leaves that have a sedative quality. This plant is not as tall as the sativa plant and has a darker color and therefore can be kept indoors as well. The plant can be grown in colder regions as well, but its flowers become a darker shade of purple in the cold areas. So if you see a darker green, broadleaf cannabis plant with purple flowers; there is no doubt that it is cannabis Indica. The medical benefits of cannabis indica are numerous. This herbal supplement can be helpful for people suffering from anxiety and various disorders that require a calming and soothing effect. Muscular spasm, depression, sleep disorders and that is why users prefer to take it at the end of the day. Unlike sativa supplements, the indica plant is more focused on mental disorders. 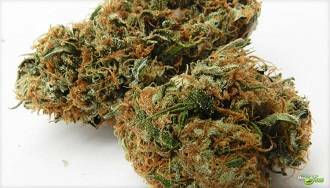 The psychoactive effect of indica is favorable for diseases of the nervous system or brain. In addition to this, several medications cause depression, anxiety, and psychological disorders. The cannabis indica focuses, or neurological disorders, therefore, can be helpful for such side effects. People who have Parkinson’s disease, lupus, sleep apnea, fibromyalgia, and insomnia can use cannabis indica to see improvement in their disorders. The cannabis indica is used widely for recreational purposes since it can cause a high in users. If you are in pain or suffer from any emotional or nervous issue that requires you to rest and feel relaxed, the indica supplement is ideal for you! The National Institute of Health journal mentioned that approximately 43% of adults in the United States has tried marijuana and 13% have used it regularly. This statistic shows that there is significant use of cannabis for recreation. One can decide what kind of cannabis to consume after realizing what they need from it. Usually, people who are worried or stressed and suffer from sleep disorders turn to cannabis indica to feel relaxed and sedated. The Cannabis indica plant has a higher THC content due to which it part of many pharmaceutical medicines that intend to alleviate pain, distress, anxiety and muscular spasms. The THC content of indica is slightly higher than the sativa plant. Many scientists believe that the CBD content in indica is optimum and does not mean that the species is not beneficial for physical disorders that CBD can help improve. However, the THC content in this type of cannabis plant is what results in the sedating impact. The terpene content of both sativa and indica is what gives them their distinct properties. The cannabis plant has numerous terpenes and cannabinoids, which provide each species their qualities. Cannabis indica has a higher amount of terpene myrcene. This terpene is what makes it more potent for dealing with psychological disorders. It is most beneficial for inflammation, sedation and is used as a muscle relaxant. Cannabis indica has pine, pungent skunk or sweet fruity smell. This number of terpenes in the indica species determine the wide variety of aroma. The most prominent terpenes in indica species are Myrcene, pinene, and caryophyllene. These give the indica plant its distinct pungent smell and earthy taste. The cannabis indica is known to create a body high, which means that it provides the body with sedation and nervous calmness that makes the user feel easy and relaxed in the body. If you have ever bought cannabis strains from a dispensary, you will notice that they are always categorized as indica, sativa, and hybrid. This categorization is because the people who require indica supplements will have a different kind of impact in mind. Some of the most popular indica strains are Purple Kush, LA Confidential, Grandaddy, Bubba Kush, Northern Lights, Mango Kush, Master Kush, White Rhino, Blueberry, Blackberry Kush and Skywalker. The cultivation of cannabis for centuries has led to the experiments of creating hybrids. Cannabis cultivators have come up with a wide array of hybrid varieties of cannabis, to cater to the vast market and numerous types of disorders that can be improved. The different hybrid cannabis plants are divided into categories according to their CBD and THC content. You can find a wide range of hybrid cannabis with different amounts of CBD, THC and the terpenes that have different impacts on our body and mind. The few hybrid species are Canna Tsu, Cannatonic, and ACDC. The CannaTsu has a 10% CBD content and 8% THC content. It is used for medical purposes. Similarly, the Cannatonic has 12% CBD and 15% THC. This hybrid type is also used for medical purposes, except that it may be a part of medicines that focus on disorders that require sedation more than stimulation. Hybrids are the best way to combine the qualities of cannabis sativa, indica and ruderalis to achieve the right amount of THC and CBD for different kinds of users. There are sativa-dominant, indica-dominant and 50-50 hybrids for this purpose. You may question why we decided to discuss the third type of cannabis at the very end. This delay in a mention of the species is because this species of cannabis has a very different composition. It has very low THC and optimum CBD content, due to which cultivators do not grow it on its own, instead, use this in the cultivation of hybrids. Cannabis ruderalis has an auto-flowering property, and this is why it is used in mixtures to give them this quality along with the optimum CBD and THC levels adopted from the other species used to create it. The ruderalis species was found in Russia, therefore, one can suppose that it grows in colder regions.